Got a beautiful and insightful map that you want to share with your customers, colleagues or fellow students? For those people we introduce My Shares. A great way to give other people access to the interactive Spotzi maps and dashboards that you made. Layers menu: This menu shows every available layer of a map. It allows users to turn these map layers on/off. Infowindow: The infowindow shows more information about a map feature when you click on it. You can turn this feature on/off or you can choose whether you want to show this information in a large information block. Search bar: The search bar allows your user to search for locations within your map. You can turn this feature on/off. Zoom buttons: Choose whether you want to enable zoom buttons on your map. Legend: Choose whether you want your user to see a legend. Static map: Don’t you want your user to pan on the map? Make your map static and disable map panning. 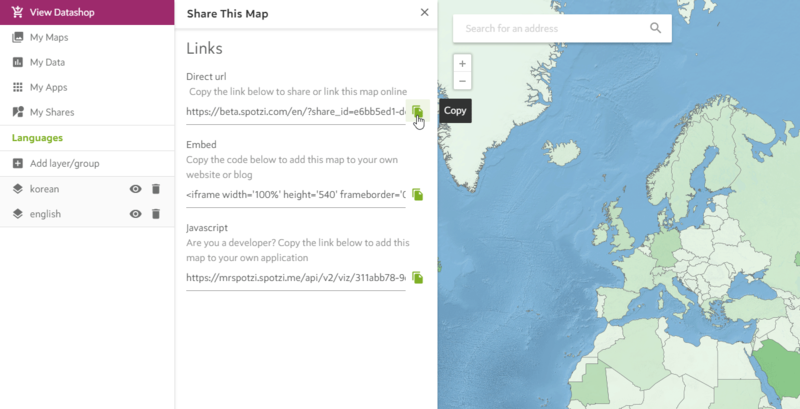 By default, Spotzi offers some map sharing options with predefined options. We also offer a custom option where you can edit every option. Click here for more information about our map sharing options. 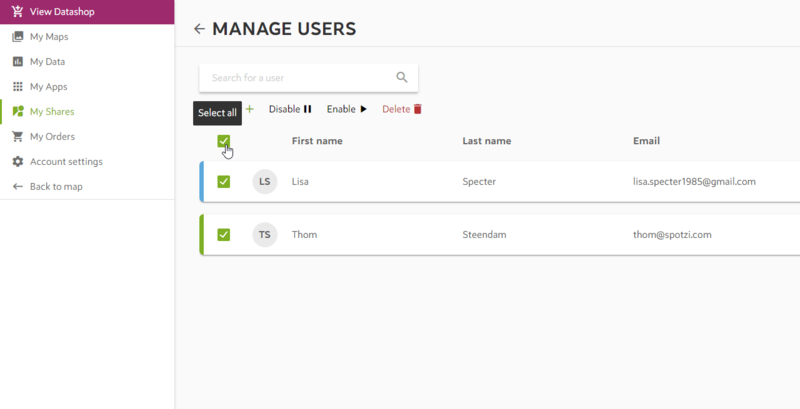 User management: With our advanced user management we have created an interface where you can manage all the users that have access to your shared map. Our user management allows you to grant access to Mapbuilder users, but also people that don’t have an account (guest users). Activate your share for a limited period: With this functionality you can enter the period in which your share will be active. 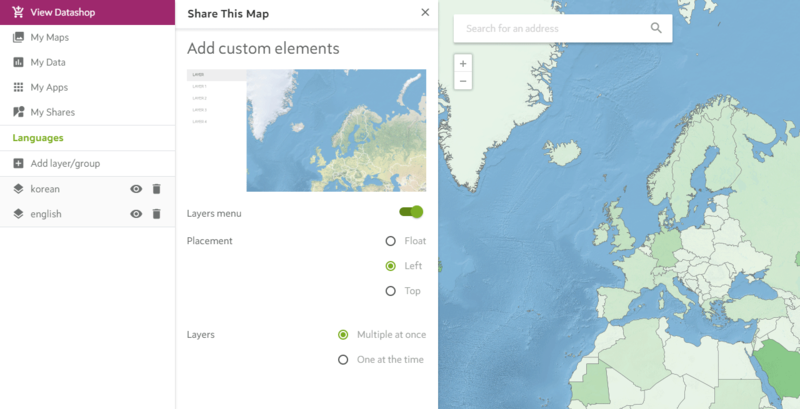 Did you know that you can add graphs and charts to a shared map? With the Graph App you can turn your shared maps into insightful location dashboards that you can share with your clients and colleague’s. Users of a shared map have access to the beautiful and insightful shares that Spotzi has to offer. When you have access to a shared map where a login is required you can login with the e-mail and password of your Mapbuilder account. If you don’t have a Mapbuilder account yet? No problem. The publisher of the map you want to access can easily create a guest user for you. When you are registered, Spotzi will automatically sent an e-mail with your credentials. Are you curious? 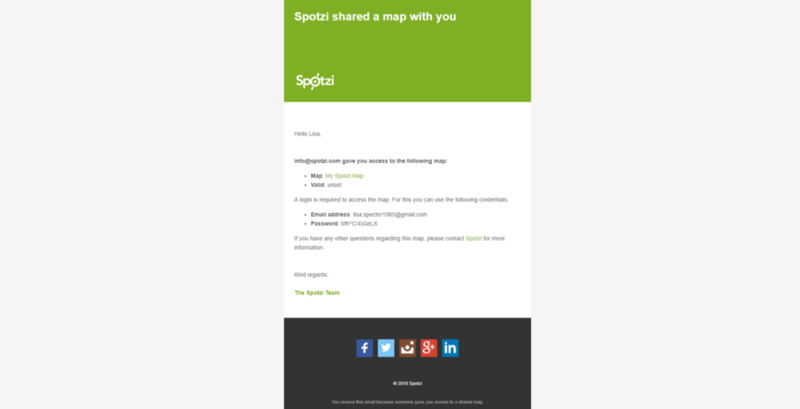 Start creating your first map share and read everything about the functionalities that Spotzi has to offer.